Fill out the form below and get instant access to results from Small Intervention, Big Impact: Health Care Cost Reductions Related to Medically Tailored Nutrition. 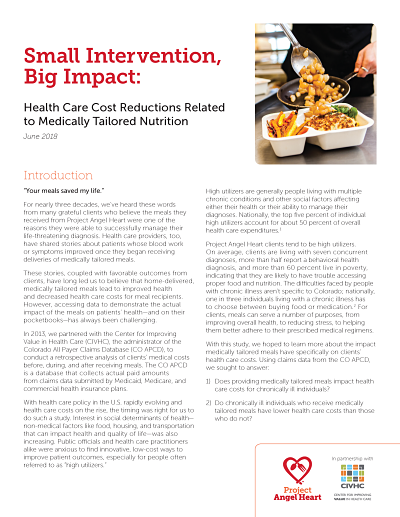 This study, published in June 2018, analyzed the impact of Project Angel Heart meals on health care costs for chronically ill individuals in Colorado. If you respond and have not already registered, you will receive periodic updates and communications from Project Angel Heart.